Inspect your roof coating system regularly. Keeping the roof clean and free of debris will give you maximum performance and longer service life. Touch up any damaged areas immediately to prevent substrate deterioration. Bi-Annual (twice a year) maintenance and inspection is required for any warranties issued by EPDM coatings. Building owner should enlist the services of trained and qualified roofing or coating professional to perform bi-annual roof inspections. The inspection should include a general evaluation of the roofing system and then concentrate on "high risk" areas such as roof hatches, drains, and penetrations and around all rooftop equipment. Pressure Washing: Use a white (40 degree) wide nozzle tip with a maximum 2000 psi pressure washer. Start with the tip at 18” off the deck and saturate the area with water. Generally, “softening” the debris will allow for less chance of damage to the coating. Come back to the area and gradually lower the tip to the deck until you see the debris coming off but do not allow the tip to get lower than 6” from the deck. The manufacturer warranty will not cover premature erosion due to abrasion caused by excessive pressure. Only Authorized Applicators should perform repairs to the coating system. A qualified roofer should perform substrate related repairs. The building owner may perform emergency repairs required to provide immediate protection from water infiltration; however, a the Manufacturer’s Authorized Applicator must complete permanent repairs when weather conditions permit. ATTENTION: Silicone Coated Surfaces: Use only Energymax Silicone to retouch and repair damaged or leaking areas. If thicker product is desired, mix silicone coating with SeamStitch Fibers or Fillers until the desired consistency is achieved. 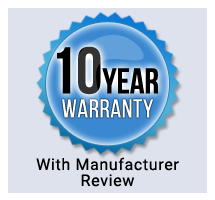 Warranted Repairs: The original installer must perform all warranted roof repairs. With a few exceptions, the manufacturer may request a repair estimate from the other Authorized Applicators if the original installer is not available. Apply 20 mils of the specified roof coating product by roller or brush. Allow to dry until tack free. To assure the continuation of the Warranty, any modifications or alterations to the roofing system (addition of units, pipes, satellite dishes, etc.) must be communicated to MANUFACTURER prior to proceeding. The proposed modification or alteration details will be reviewed by MANUFACTURER to determine compliance with MANUFACTURER Roofing System specifications. Coordinate the installation with MANUFACTURER Authorized Roofing Applicator so the modification / alteration will be in accordance with MANUFACTURER Roofing System specifications and details. MANUFACTURER Authorized Applicator must complete permanent repairs when weather conditions permit.